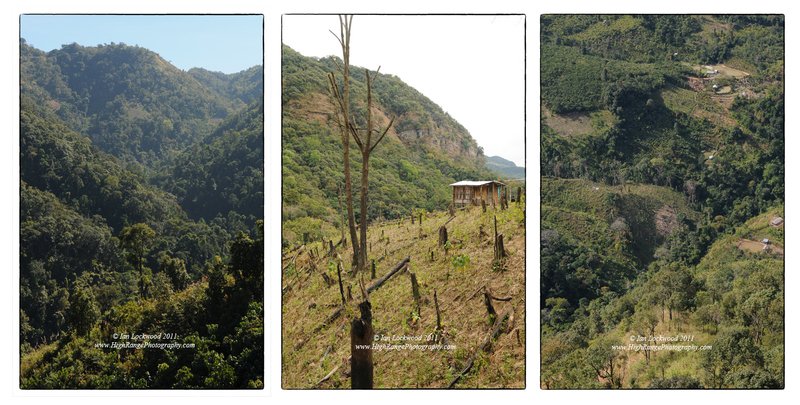 Last December during our winter holidays we returned to Mizoram to catch up with the family after a four-year hiatus. Aside from two trips out to North Vanlaiphai and Reiek I spent a good deal of time in the state capital of Aizawl. A highlight during was visiting the MIRSAC office to see how they are using GIS to better gather spatial data, conduct analysis and make recommendations for a range of agencies in the state. Their office was friendly and helpful. Raina and I enjoyed leafing through some of their exemplary publications and hearing about their work. During my two trips out into the hinterlands of the state, I had a chance to observe and photograph some of the main land uses that they have been categorizing and mapping. 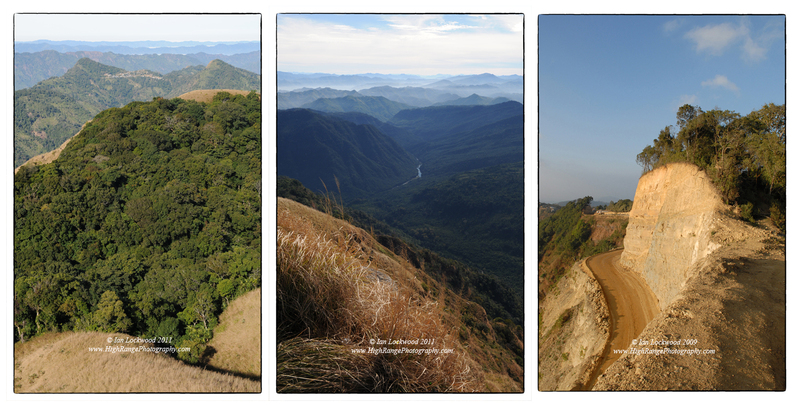 Mixed evergreen forest and grasslands near Reiek, Tlawng River valley from Reiek and new highway under construction at Hmuifang (taken in 2009). Healthy evergreen forest near Vanlaiphai, jhuum cultivation in the same area and mixed plantations with jhuum near Hmuifang. 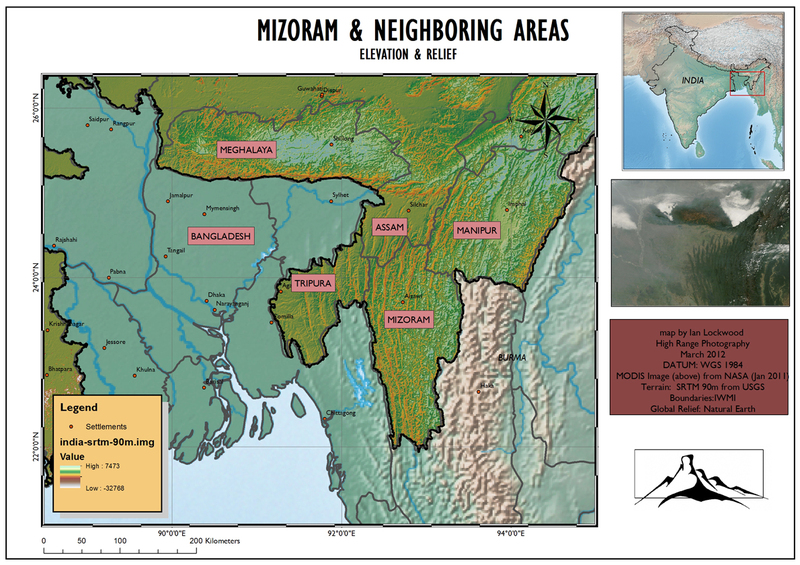 Urban landscapes are now a significant feature in Mizoram though these occupy relatively little area of the state. Most settlements, like the capital Aizawl, are located on the tops of rugged ridges running south to north. On the left is the slowly growing settlement of North Vanlaiphai. 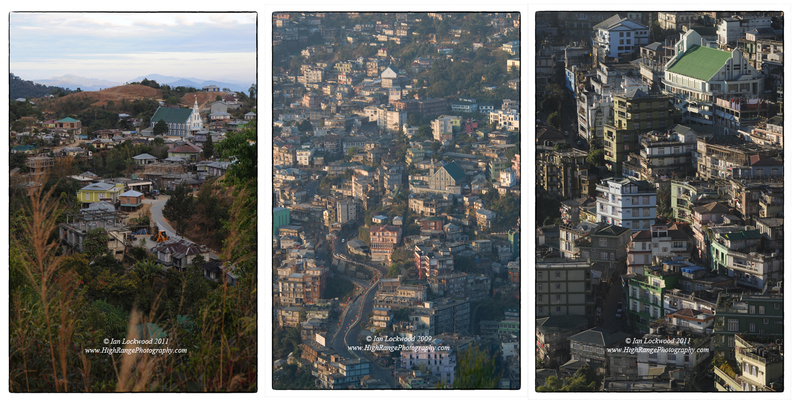 In the center and right are two views of Aizawl, showing densely packed residential areas.